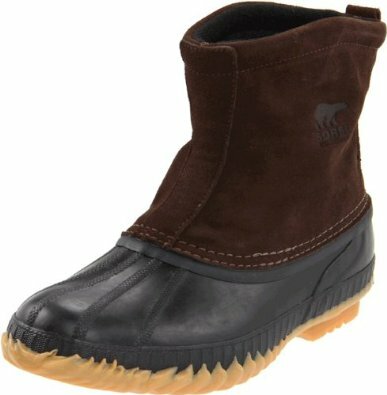 This is the summary of consumer reviews for GLOBALWIN Women's 17YY11 Fashion Boots for wide calf. The BoolPool rating for this product is Very Good, with 4.10 stars, and the price range is $23.99 - $39.99. 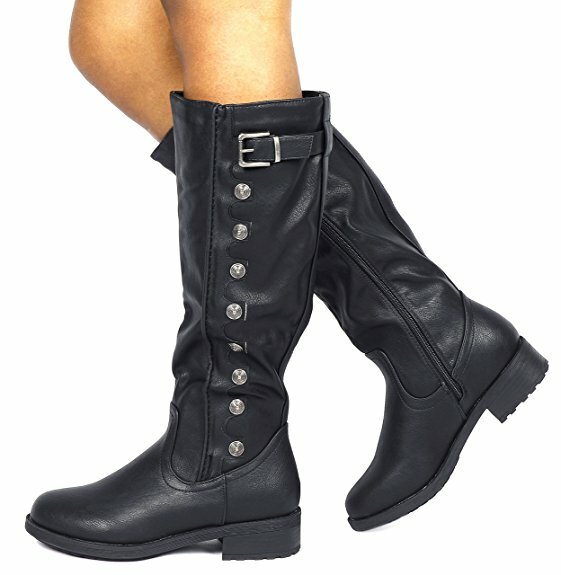 GLOBALWIN Women's 17YY11 Fashion Boots is comfortable good quality boot. Although it is relatively inexpensive, but looks and feels expensive. You can wear them with several outfits. 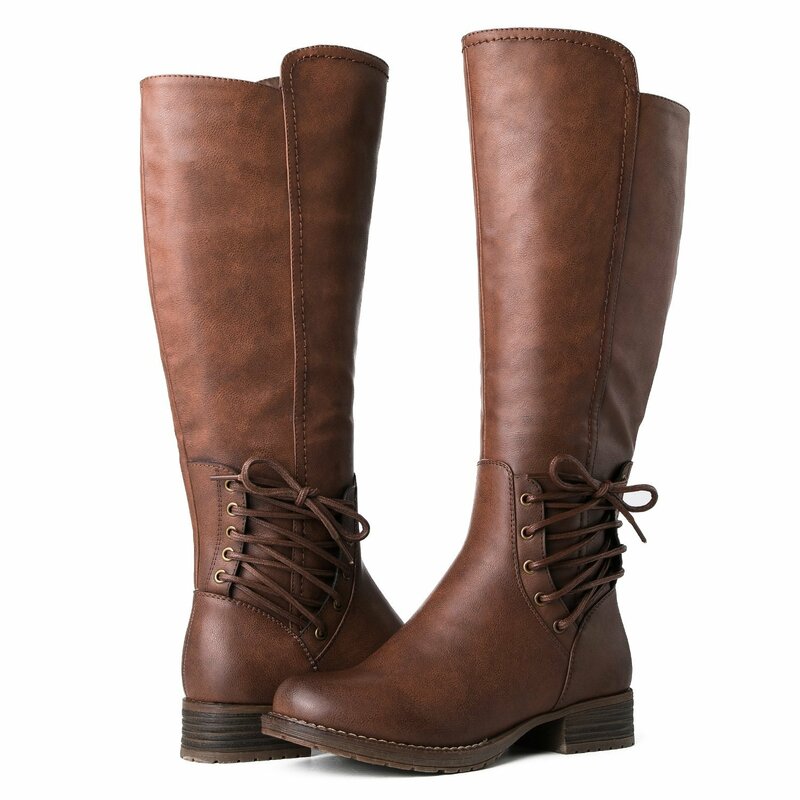 These gorgeous boots come in many beautiful colors that you're sure to love. These boots run a little big. Some people said that these were little loose around ankles. Premium Synthetic Leather, synthetic leather,Textile lining, 1" block heel. Shaft: 16.5" height, 16" circumference, Inside elastic insert for stretch fit. Shaft height & circumference will vary by size. Synthetic sole. 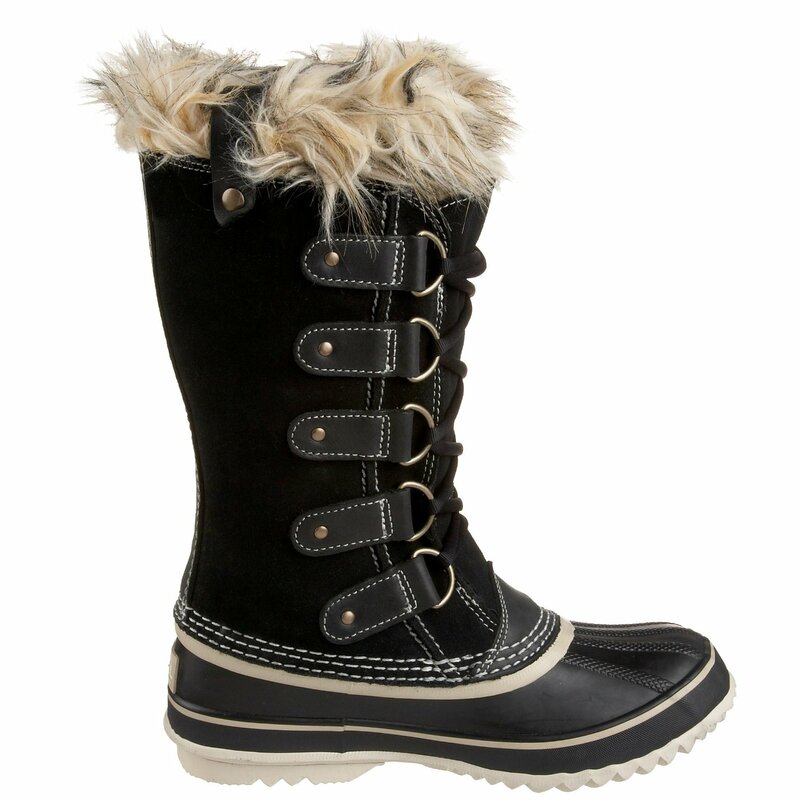 Overall GLOBALWIN Women's 17YY11 Fashion Boots is low cost, good quality, comfortable boot. Lovely, boot just make sure you purchase the boot in your shoe size instead of your boot size. The boot fabric stains really really fast and easily. The boot is beautiful and looks well made- very pleased with these!! Usually I can buy 9 in a boot with thicker socks and 8.5 with thinner. The color of the boot was a lot lighter then expected. The toes of each boot are turning black. Very warm and comfy - wore it out in 20 degree weather in Maine and never once did my feet get cold. When I received these boots, I was really happy. These are cute and comfy. Cute but way too big. 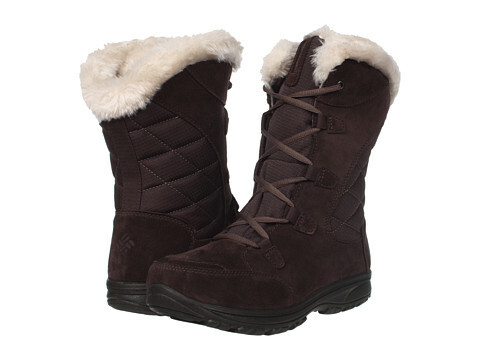 Cute boots, I really like them and they're very comfy. The boots are really cute but the shaft is too big. 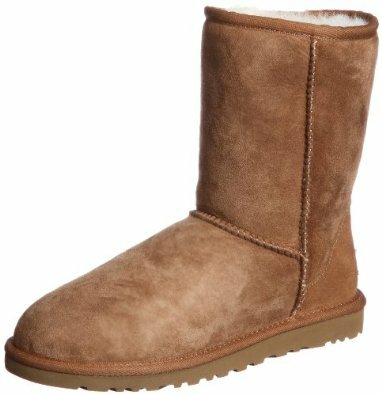 These are cute boots for the price! These are sooooo cute and surprisingly comfortable! The laces are made of a nice waxed nylon and look very cute. 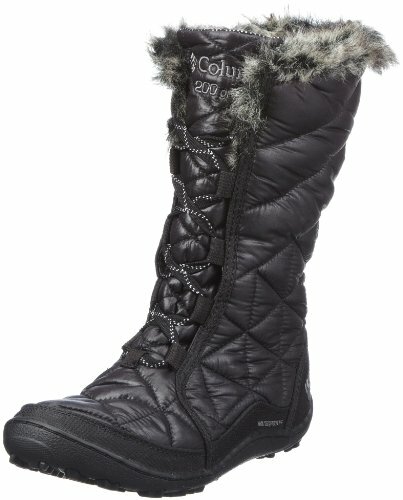 these are cute, but the insulation is on your calves... it's strange - toes get cold and my shins are hot!. These are cute, but I took off one star because the stretch is only just barely enough stretch to fit my calves. They really do run a little large! It ran a little big. They fit me a little big, but very comfortable. A little big but still love!. I even have big calfs and the top is a bit big. My calfs are a little big but nothing to worry about. I usually wear an 8 or 8.5. I originally ordered an 8.5 but they were way too big I ended up giving them to my mom who wears a 9.5. Then I ordered an 8 which still fit a little big but a little better than the 8.5. I've wide feet and am usually between a sz 9 & 9 1/2 but because these boots run a little bit big, they fit me perfectly! I suppose if I lose weight they'll fit a little big around my calves but for now they're good! Ordered an 8 and I wear an 8 little big but you can tighten the strings. However, after stretching it a little, it now fits, but a little tight. 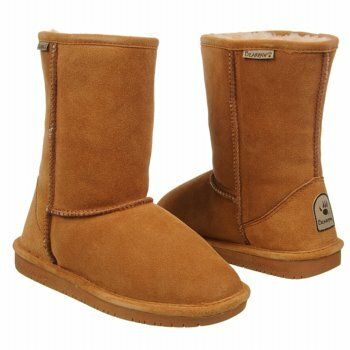 They look really cute and are very comfortable. I love the look of these boots!. 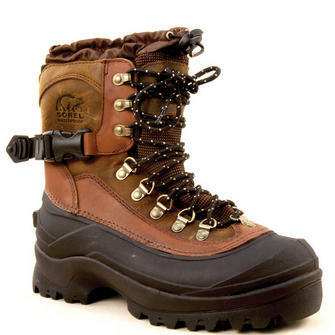 perfect boot, not cheap looking in anyway. good quality, I gifted these and they look great:). Looks good and feels expensive. I like that it's not shiny looking like most boots it actually looks like real leather boots. Looks good with pants, dressed or skirts. look great, but the boots were too tight around the calf. Leather seems good quality and durable but they're extremely wide at the top, look like pirate's boots.